New Google Panda 26 Update Official Confirmed!
! !Google “Panda” Is On The Attack!! Update: Google confirmed there is a Panda update going out now that is “more finely targeted.” Barry Schwartz over at Search Engine Roundtable noticed people at WebmasterWorld talking about. They updated it in Panda # 25 March 15 2013 and now they’ve updated it again. Some sites are going up & some are going down, but in both cases webmaster are noticing. Reported by Google’s official blog post when Panda launched. 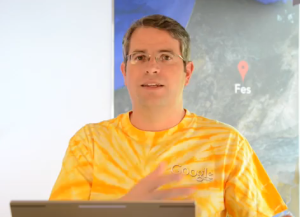 Video: Matt Cutts On If I Write About Another Article, Where Should I Link To The Original Source? The Latest from Yesterday’s News Google’s head of search spam Matt Cutts put out a new webmaster help video comes from Natanseth, India on July 1, 2013. Matt Cutts said, “I’ll just say, for my personal preference, I really appreciate when there’s a link somewhere relatively close to the top of the article because I really kind of want to know when someone’s talking about it, you know, hey, go ahead and show me where I can read the original source or let me look up more information,” says Cutts. “There are a lot of blogs that will give one tiny little link all the way at the bottom of a big long story, and by that time, it just doesn’t seem like it’s quite as useful, but that’s just a personal preference. That’s not ranking advice as far as it goes. The only other thing I hate – this is once again just personal – is whenever you’ve got a regular news report, whether it’s in a mainstream newspaper – New York Times, AP, whatever – and they say, ‘Blah Blah Blah said on a popular webmaster blog that blah blah blah,’ and they don’t link to the source,” he continues. “I mean, come on. Link to your sources, whether you’re a journalist, whether you’re a blogger, let people go and look at the original information themselves so that they can suss out what they think about whatever it is that you’re writing about. So if you just say, ‘Oh, it was discovered on a popular forum that blah blah blah,’ then we have to go look for it. That’s really annoying. Again, not ranking advice, Just asking everybody to be considerate on the web, and share credit, and attribute, so that people can, you know, do the research for themselves if they want to.